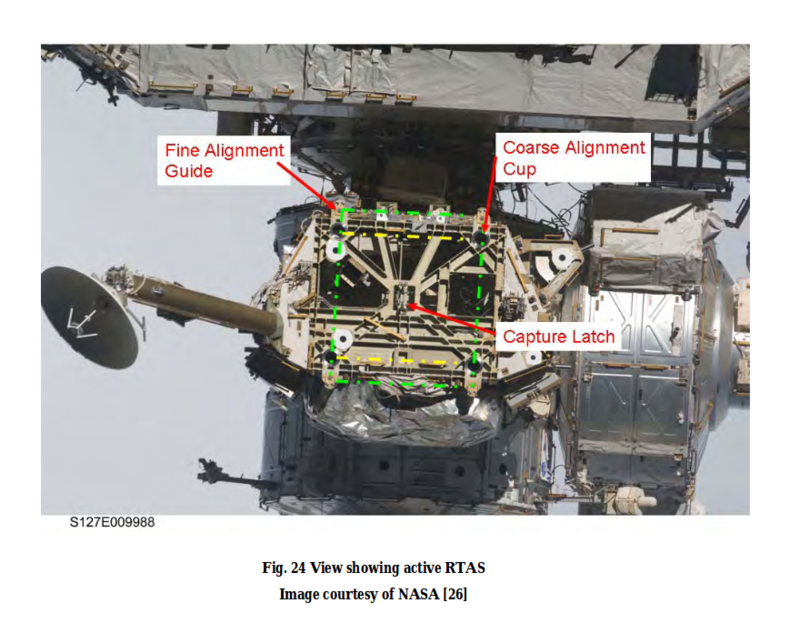 The ISS occasionally fires thrusters to correct orbit and uses reaction control wheels to adjust attitude. It also experiences various external forces - tidal, aerodynamic, etc. 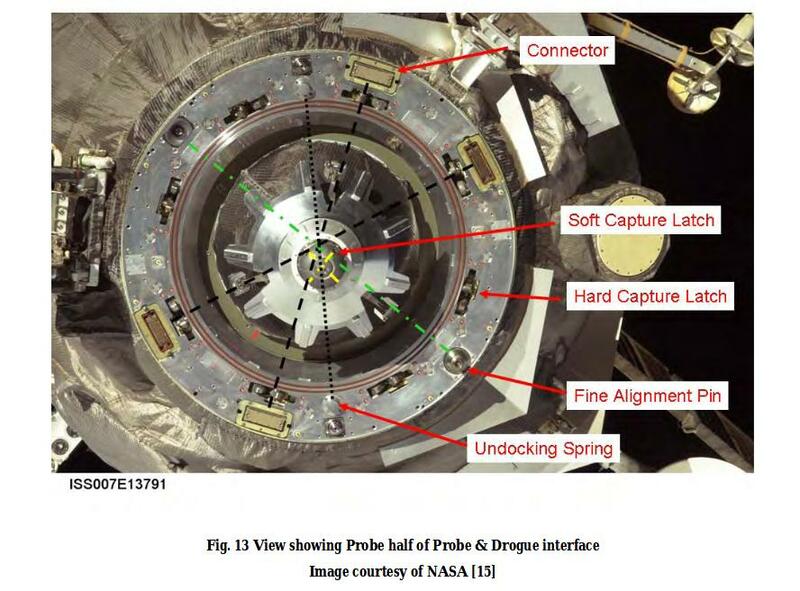 From the outside, it seems very flimsy - modules connected to each other just by the docking rings. Is that really all that holds it together? The docking rings? Or is there some sort of additional structure to give the whole thing rigidity? The ISS is pressurized to nominally Earth sea-level atmospheric pressure - about 1013hPa (14.7 pounds per square inch). Docking rings look to be about 2.2 meters in diameter, so appear to have a cross-sectional area of about 3.8m² (5880 square inches). 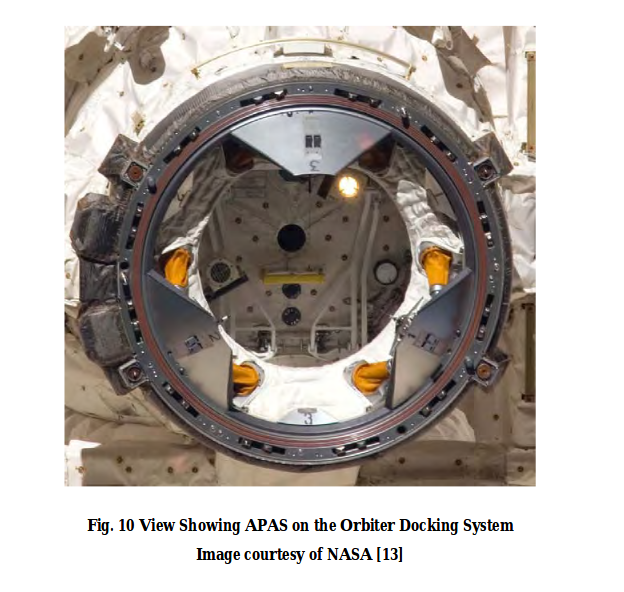 That means each docking ring (assuming they are all that size) is constantly under about 385 kN (86,500 lbs) of force as the internal atmosphere tries to push the mated sections apart. To put that in perspective, the total mass of the station is about 420 metric tons (924,740 lb), (equivalent to ~4120 kN on the earth surface). Structures needed to contain a human-friendly atmosphere are by no means flimsy, especially those built large - the forces involved can be quite substantial. "Is that really all that holds it together?" 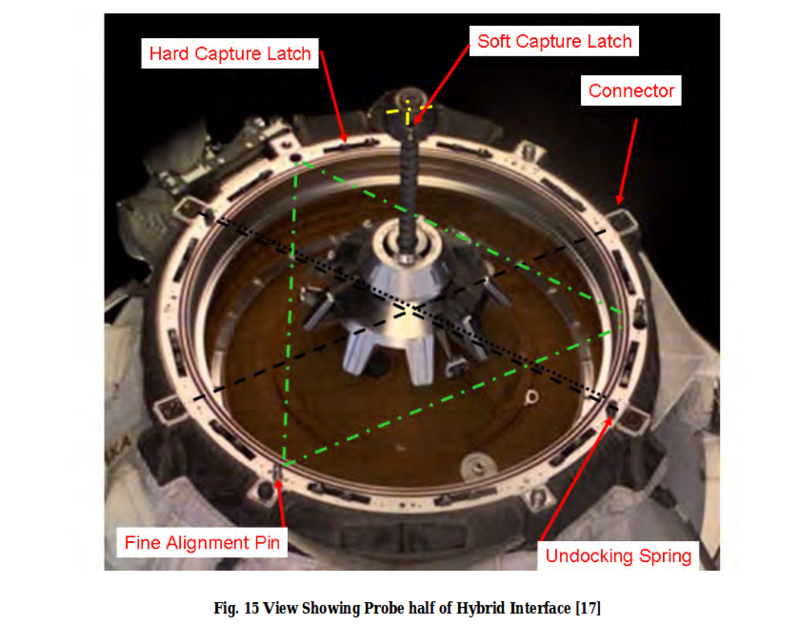 There are several different attach mechanisms used to hold the various parts of the ISS together. The mechanism used depends on what kind of component is being used (pressurized, unpressurized) and who built it (US, Russia, Japan). 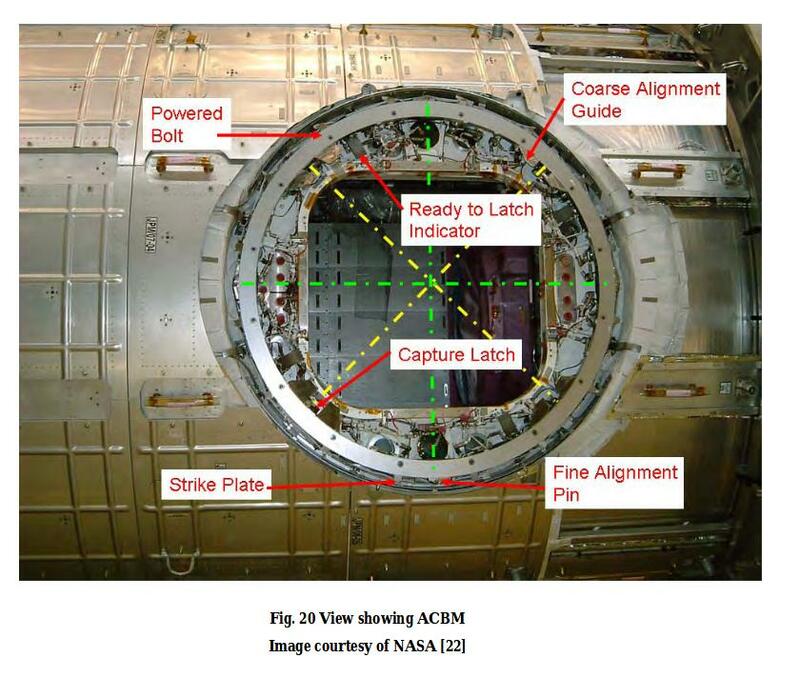 The US pressurized modules are held to each other by Common Berthing Mechanisms (CBMs). 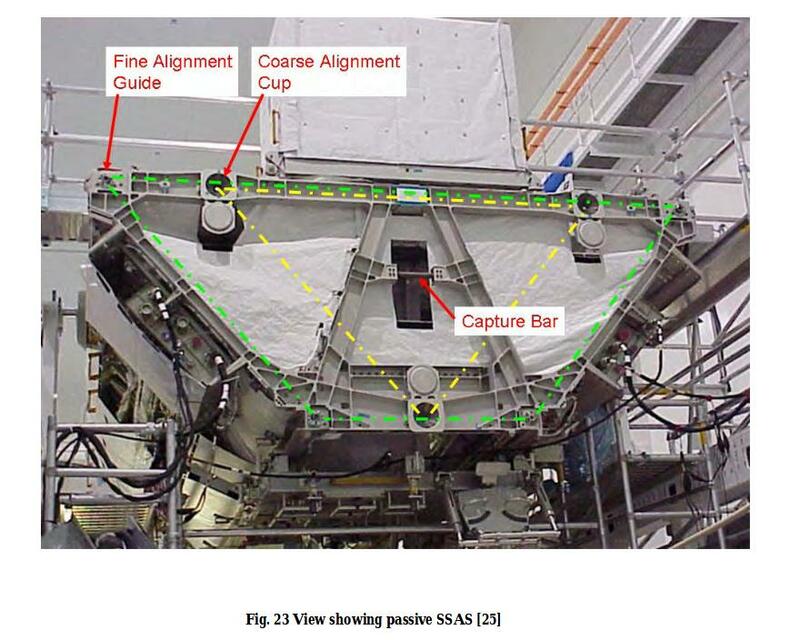 The interface between the US pressurized modules and the truss is at the lab and the S0 truss segment and is called the Lab Cradle Assembly aka the Module to Truss Segment Attach System (MTSAS). 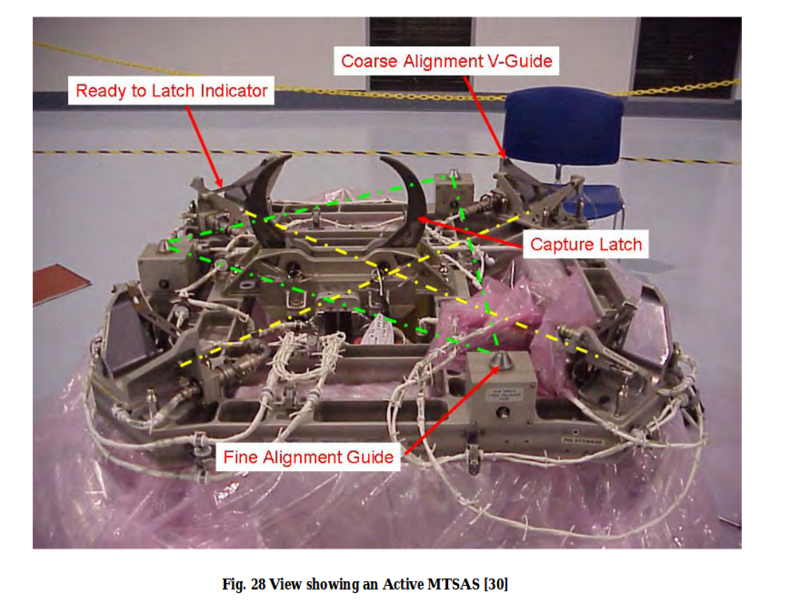 The truss segments are held to each other by the Segment-to-Segment Attach System (SSAS) or the Rocketdyne Truss Attachment System (RTAS). The US side is connected to the Russian side by an Androgynous Peripheral Attachment System (APAS). The Russian side uses Probe & Drogue and Hybrid interface mechanisms. 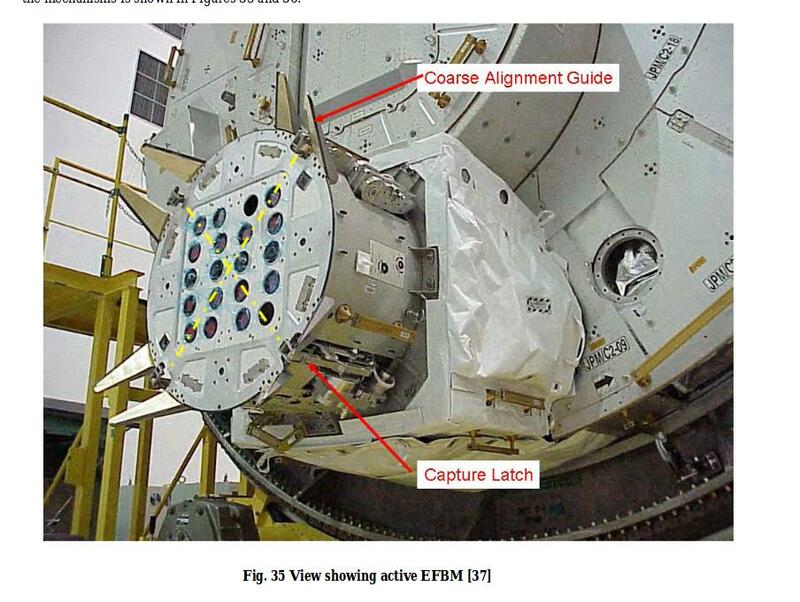 The "porch" aka the JEM-EF is attached to the JEM by the unique Exposed Facility Berthing Mechanism (EFBM). Current ISS configuration (Dec. 2014)?